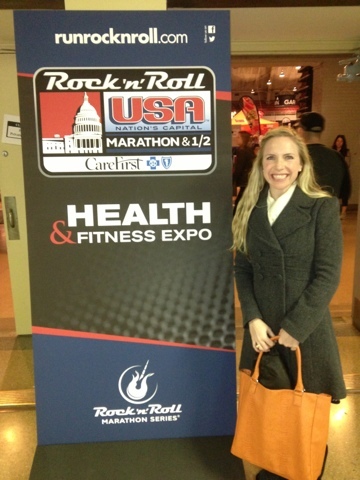 Last weekend revolved around the Rock 'N' Roll USA Marathon. I will have a full recap on the race, what it was like, how I did, and all of the dirty details on Friday. So stay tuned! Until then here is the modified version. On Friday, Josh and I went to the Race Expo and did some exploring and shopping. Later we made dinner...which I didn't like...and then hit the hay early so that we would be rested for our big day the next morning! Josh and I got to the race nice and early on Saturday morning. It was supposed to be cold, windy and rainy and thankfully, the weather man was wrong! 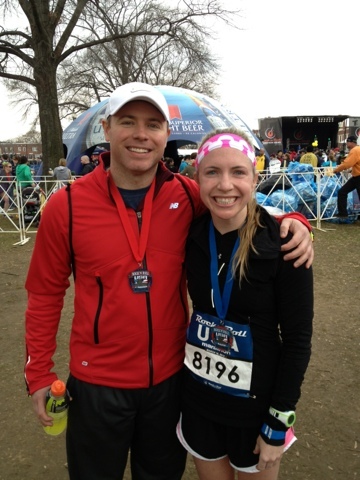 Josh ran the half and I ran the full. Although I did not run as fast as my last full, I was still very proud of my time. I did not train for this race AT ALL (more on that in the recap) so just finishing the race felt like a great accomplishment! Success...at the after party with our finishers bling. The race got off to a late start so we didnt make it back to my house till 2pm. That is pretty late for an early morning race. After a lunch of chicken salad sandwiches and chips (we were ravenous), we both took an afternoon siesta. 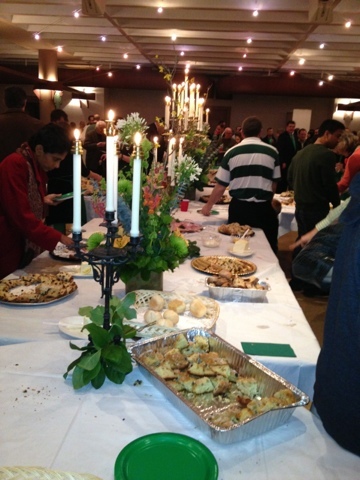 Later that evening we went to our church's St. Patty's Day celebration. It was awesome! There was beer, tons of food, River Dancing, and a lot of our friends were there! 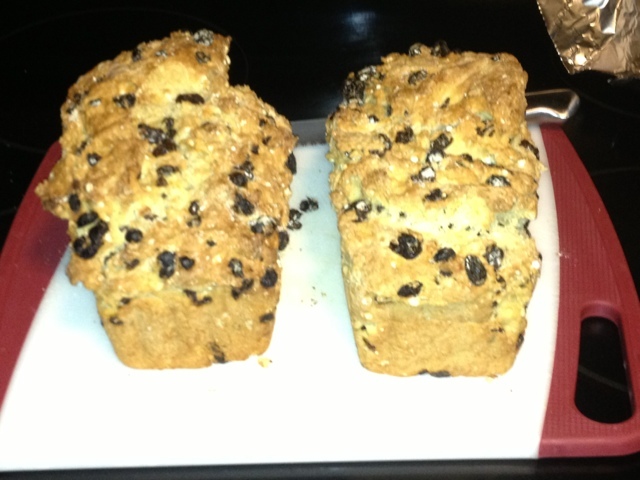 Josh and I baked Irish Soda Bread for the festivities...sooooo yummy....has similar texture to a scone and it was pretty easy to make! I can't even describe how fun this party was....it was completely packed and everyone was so happy and thankful to be there. I was exhausted after the St. Patty's Day celebration and fell asleep promptly at 9:30pm. A marathon will take it out of ya! 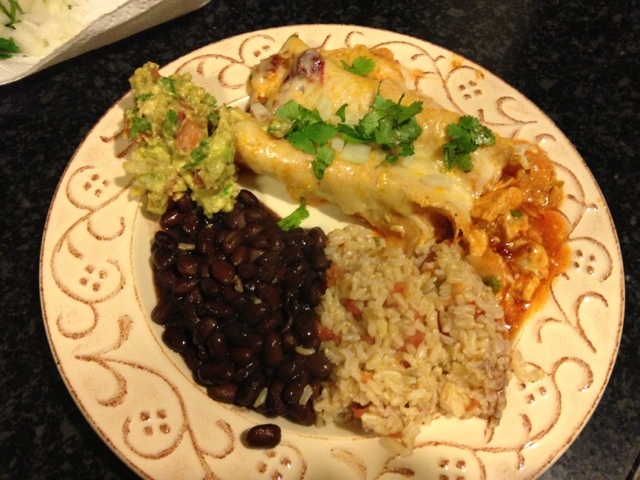 The next morning, Josh and I went to church, stopped by a CrossFit St. Patty's Day party, went to the grocery store, took naps and then I made chicken enchiladas again so I could post the recipe. They were the perfect way to end St. Patty's Day...who doesn't love Mexican food on an Irish Holiday? Recipe written and just waiting to post! After watching The Bible, I was fast asleep. Are you watching The Bible? Did you do anything fun for St. Patrick's Day?